Hey, y'all! I think you know by now that I just love monograms. 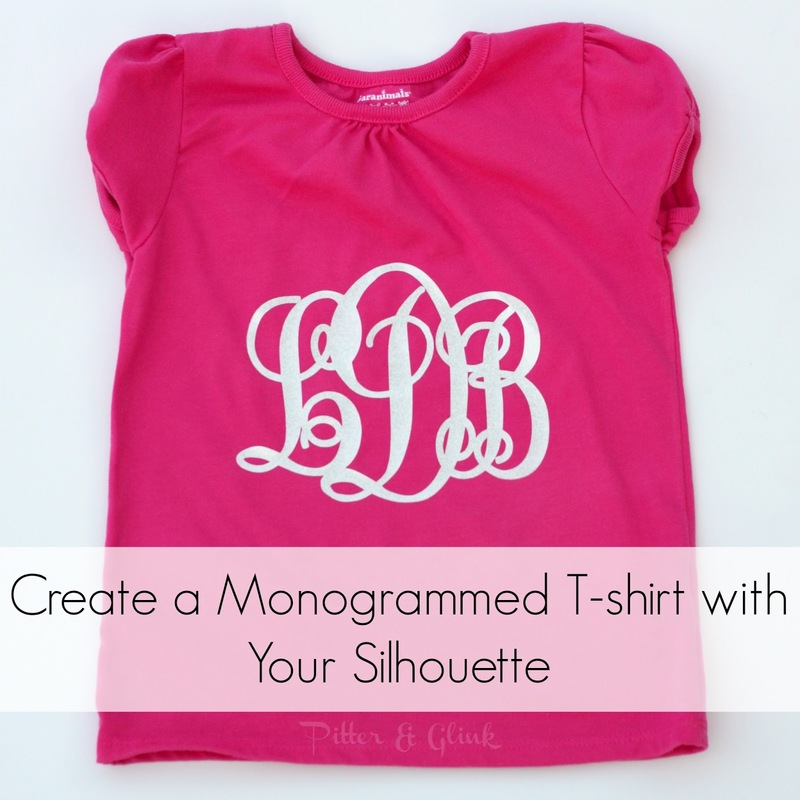 (I mean, it would be un-Southern of me not to love monograms!) 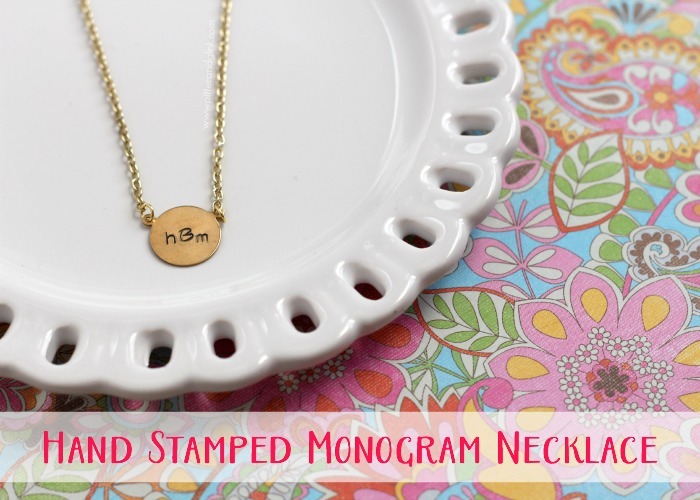 When I was making Christmas presents for family members in December, my love of monograms inspired me to create hand stamped monogram necklaces for a couple of my cousins. 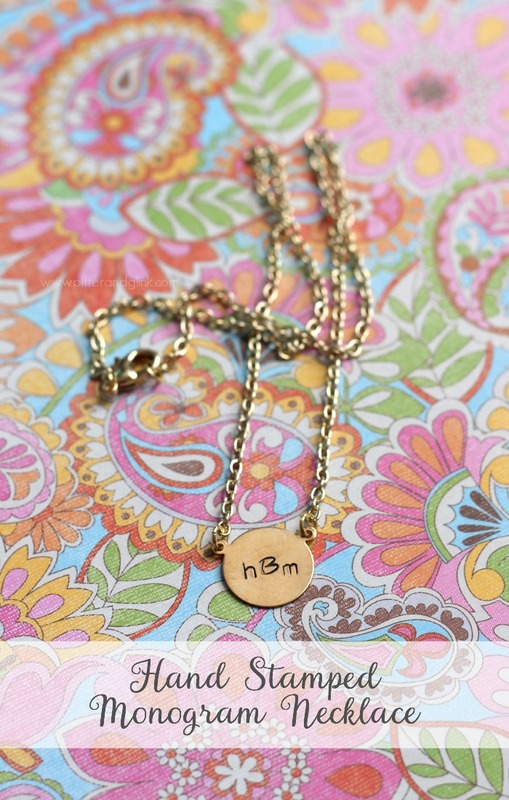 The necklaces were so easy to make, and of course I'm going to show you how to make one yourself! 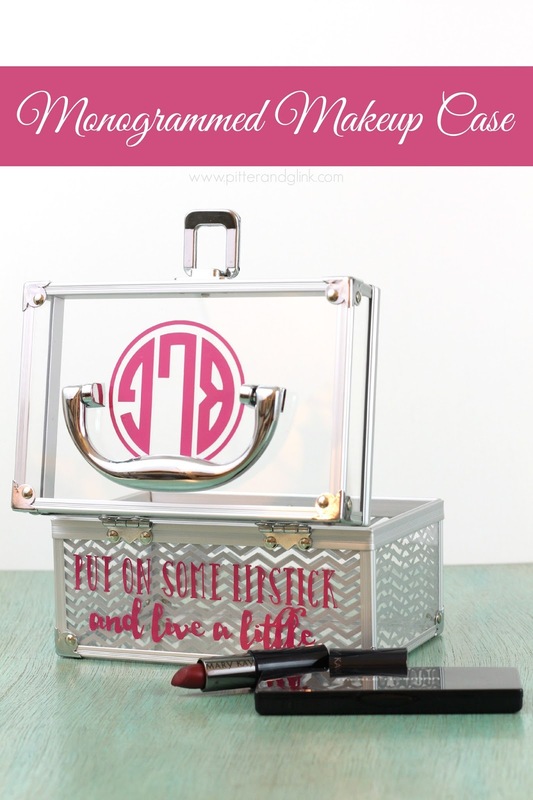 Upper Case Metal Stamp Set--I bought this set from Hobby Lobby with my 40% off coupon. Begin by taping the blank to the bench block. 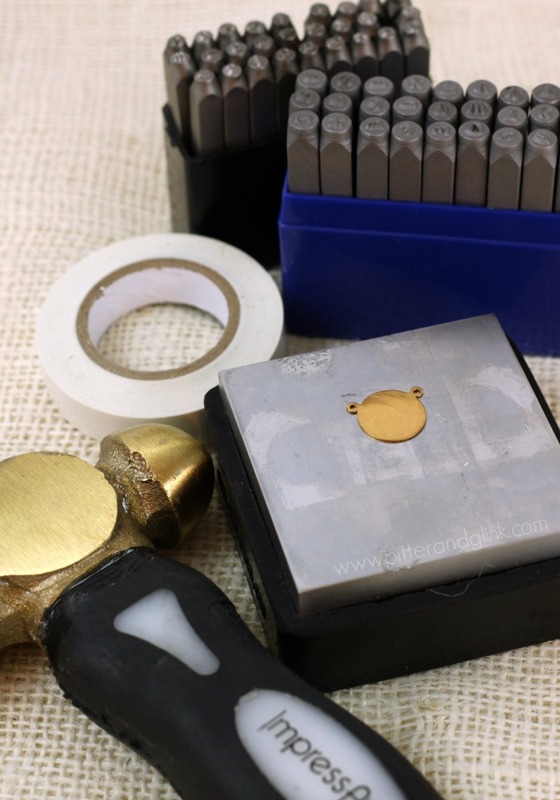 Make evenly spaced marks on the tape so that you space out your monogram correctly. Stamp the middle letter (the last name initial) first with an upper case stamp. Then stamp the two outside letters with the lowercase stamps. (Of course, the first letter will be the first name initial, and the last letter will be the middle name initial. Once your design is stamped, color over the letters with a Sharpie. 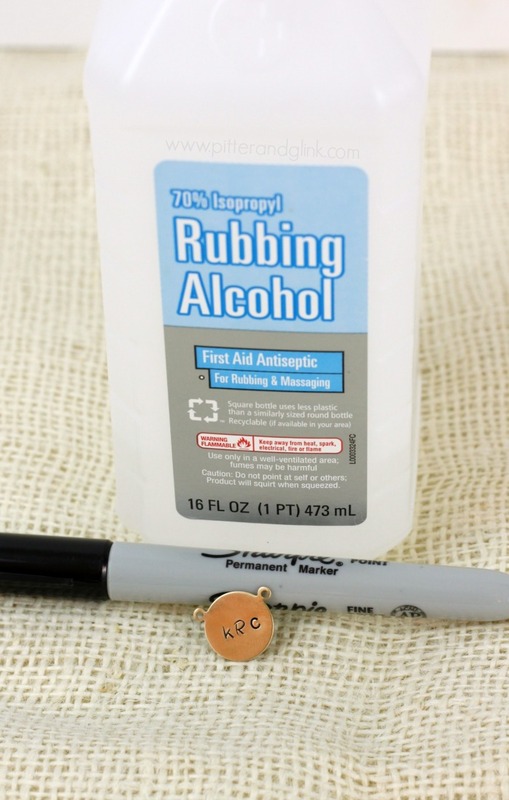 Wipe off the excess with alcohol and shine your piece with a polishing pad. Then it's time to put together your necklace. Using the wire cutters, cut a piece of chain the desired length of your necklace. Find the center point of the chain and cut it in half. 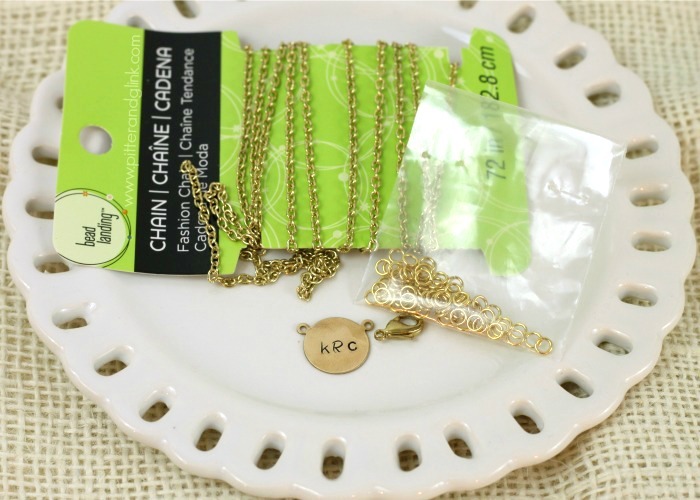 Use jump rings to attach the two sides of the stamped blank to the two pieces of chain. Attach the lobster clasp to one end of the chain with a jump ring. Attach the remaining jump ring to the other end of the chain. And that's it. I love the simplicity of the necklace. It would be even prettier with a smaller, daintier chain. 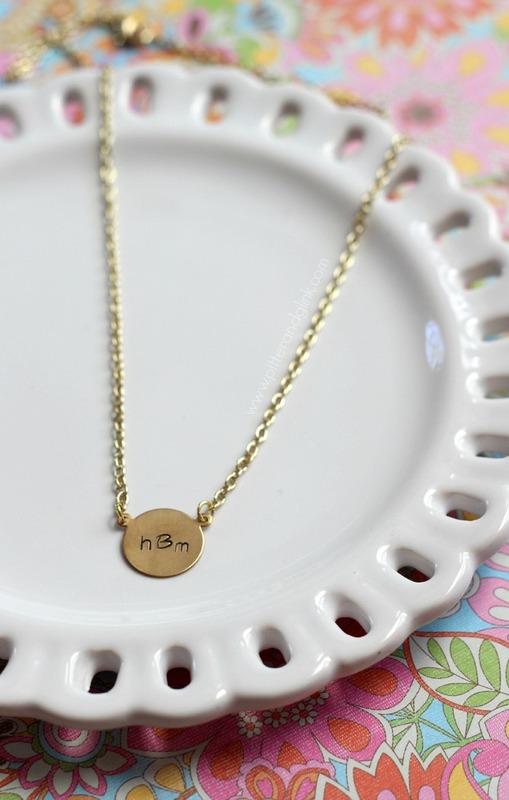 My cousins loved their monogrammed necklaces, and I love that they were a great inexpensive handmade gift. Now I just need to make one for myself. So pretty, and such a lovely idea. Once you have the kit I can imagine making these for pretty much everyone!